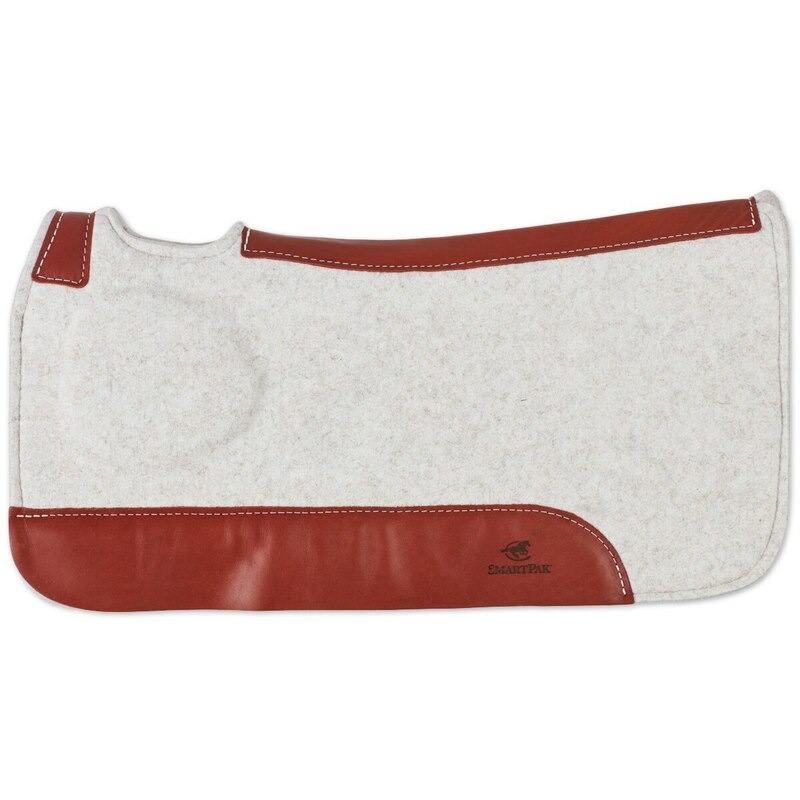 SmartPak Poron XRD ™ Correct Fit Pad - Poron XRD ™ pads provide the ultimate in protection for your horses back. The Poron XRD ™ absorbs 90% of force on a horses back - more than any other protective material on the market. The Poron is "sandwiched" between 100% wool and then finished off with quality top grain wear leathers.